Got this guy a couple of weeks ago. Kanati longbow and a Simmons Treeshark. Congrats on the "11" point! great i love those Kanati bow ! congrats for your deer ! 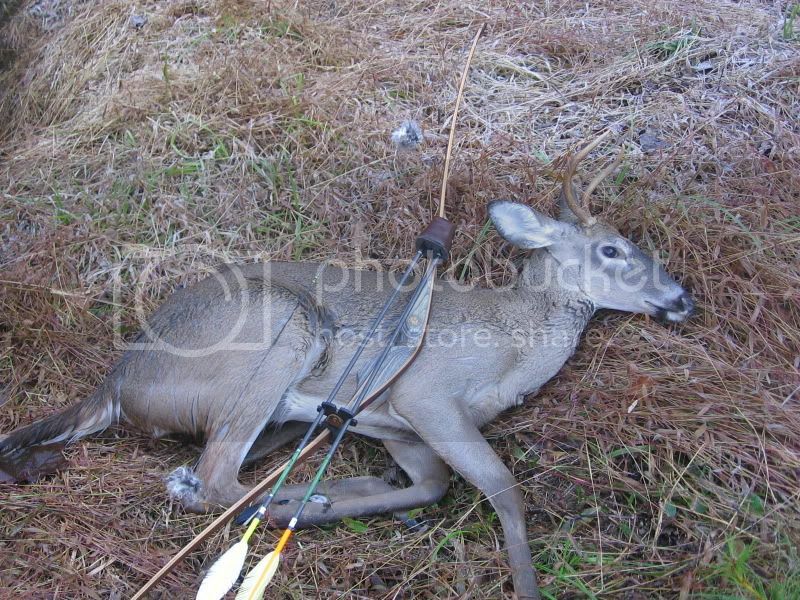 Nice deer and nice bow. Good job, he should be a great eating deer. Nice deer. Good sized body for a spike. I want one.